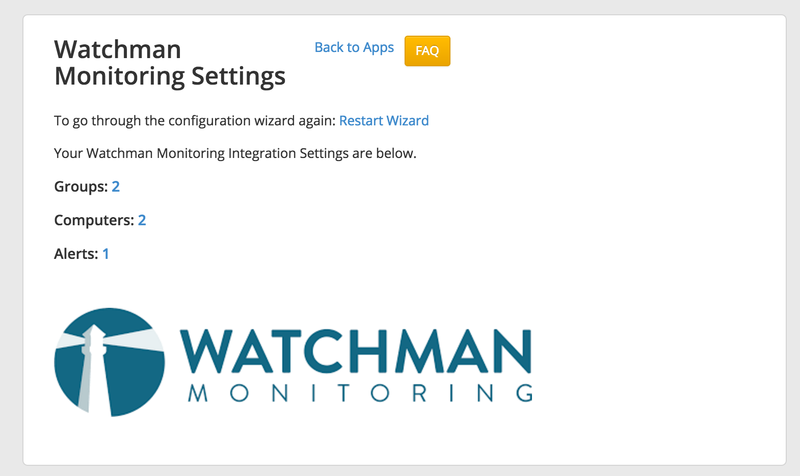 Install Watchman Monitoring’s light-weight, read-only agent on the computers you care for, and be the first to know when problems arise. Receive alerts for common issues such as failing hard drives and stale backups, as well as more urgent issues such as failing RAIDs. Our integration maps your Watchman Monitoring computers and alerts into the software to get more done in fewer steps. 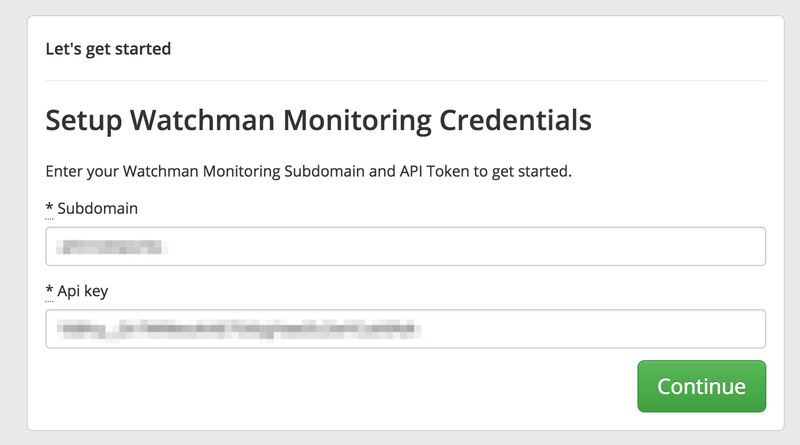 Map Watchman Monitoring "Groups" to "Customers"
Go to your Watchman Monitoring account and find us in the Integrations page. 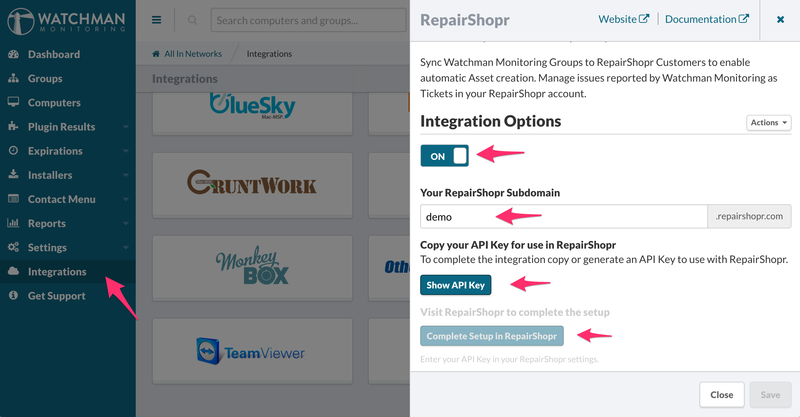 Turn it on, generate an API key, copy that key to your clipboard, and click the button to head over to your account. Map your "Groups" to "Customers" inside the progra by clicking this blue icon for each that we didn't automatically detect. 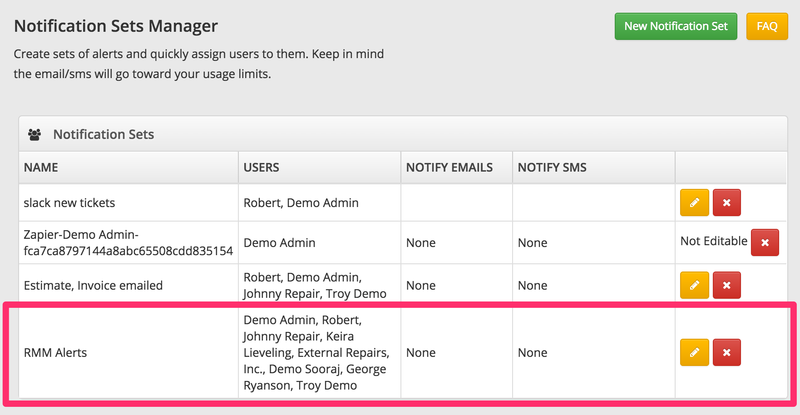 This will make it so the assets and alerts are attached to the right customer. Now you will start getting alerts using the Notification Center. You can adjust how and when you are alerted, head to Admin -> Notification Center to find the new rule that we created. While the alert is attached to an open Ticket it will not be emailing you from Watchman Monitoring. If you mark the Ticket as "Resolved" - the next time that alert feeds into your account we'll notify you again, meaning, the issue is probably still there. Same with deleting - if you delete the check, the next time it's triggered you'll get a new one.